DECATUR, Texas — A woman seen on surveillance video asking for help outside of a Wise County home has been found "safe and well" and identified, authorities said Friday. The woman, 36, called the Wise County sheriff's department dispatch line about 11 a.m. Friday, saying she was the person seen and heard on the video, according to a new release from the sheriff's department. Investigators traveled to the Dallas-Fort Worth area and met with the woman, confirming she was the same person on the video. Authorities are not yet releasing her name, and more information about the case hasn't been released. 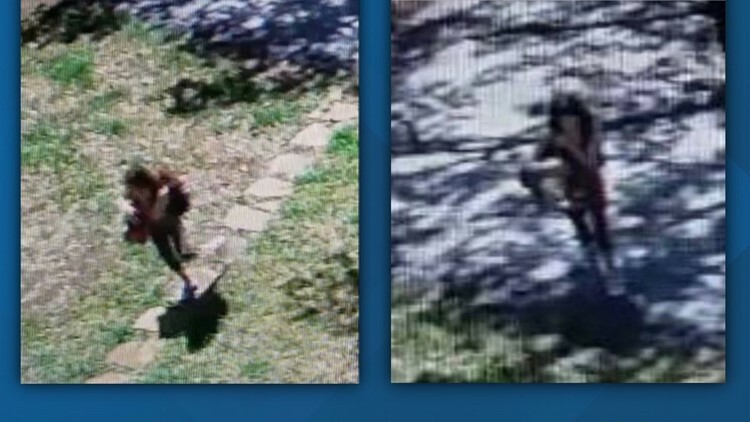 Authorities on Thursday released several images captured of the female on surveillance video that was recorded at about 1:17 p.m. Tuesday in the Indian Trails subdivision, located about a half mile off U.S. 380 Highway between Bridgeport and Decatur. "I'm realIy scared," the female said in an audibly shaky voice. "Will you please open your gate? Please?" The video recorded of the female as she spoke into the security system showed her looking around as if someone was following her, said the Wise County Sheriff's Office in a post on their Facebook page. Authorities said the female then turned away and ran into the nearby woods.